SEO in 2019 – How to Survive the Upcoming Updates? 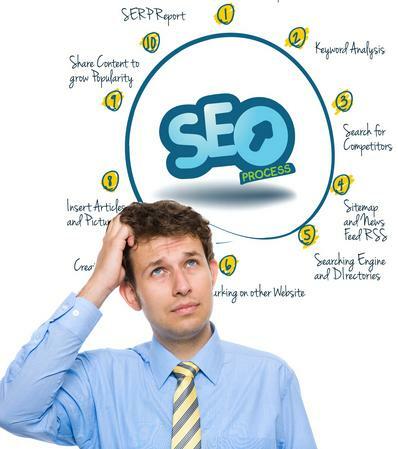 Every successful online entrepreneur is familiar with the concept of SEO and the importance of this aspect of internet marketing. To put it simply, if your SEO strategy is good, you’ll find success and your business will grow and expand. You may have heard the rumors about the death of SEO, but dismiss them, they can’t be further from the truth. It’s safe to say that search engine optimization at it’s core will never die. Google is doing a great job when it comes to pushing people away from tactical search engine optimization behavior and Google’s software engineer and the head of their team Matt Cutts, did something nobody expected – he actually announced the changes Google will be implementing in 2019. For a start, let’s take a look at the most important ones. Quality content is and always will be key to Google rankings. Simply put, offer relevant information to gain visibility. Original and quality content is still what it’s all about. Make sure to keep the content accurate, fresh and up to date. Well organized, well structured and well written content is a must. Good and reliable web hosting services are another crucial component of website development and the online marketing process itself. Make sure to do your research, find hosting reviews and make sure the one you choose is what you actually need in terms of cost and performance. Keep in mind that web hosting is equally as important as quality content. Back links that don’t add value for searches will simply die. Google tolerates only links like these and they are a true indication of a website that ranks good. From Google’s point of view, the more challenging the link building gets, the more valuable it will become. Carefully placed keywords and moderation when it comes to their use is still crucial, since Google simply doesn’t tolerate keyword stuffed content any more. Pay attention to social media. It has become a major player in digital marketing, especially in the last few years. Various types of social media just keep arising and will continue to do so, therefor it’s important to concentrate on promoting and sharing content via these services. Needles to say, Google is constantly evolving, especially in terms of search engine optimization. Their ongoing algorithm updates will continue influencing marketers to create content that meets the needs of their target demographic. Think of it as one big chess game. When it comes to online business, like with any other business, it’s important to think ahead. There is no doubt about it, website owners, web hosting companies and SEO professionals that think ahead will continue to find success. Do you have any tips/strategies for SEO in 2019? Do share your views in the comment section, we’ll be glad to hear from you. Next Post:Backup To Dropbox- Drop Some Peace To Your Mind!